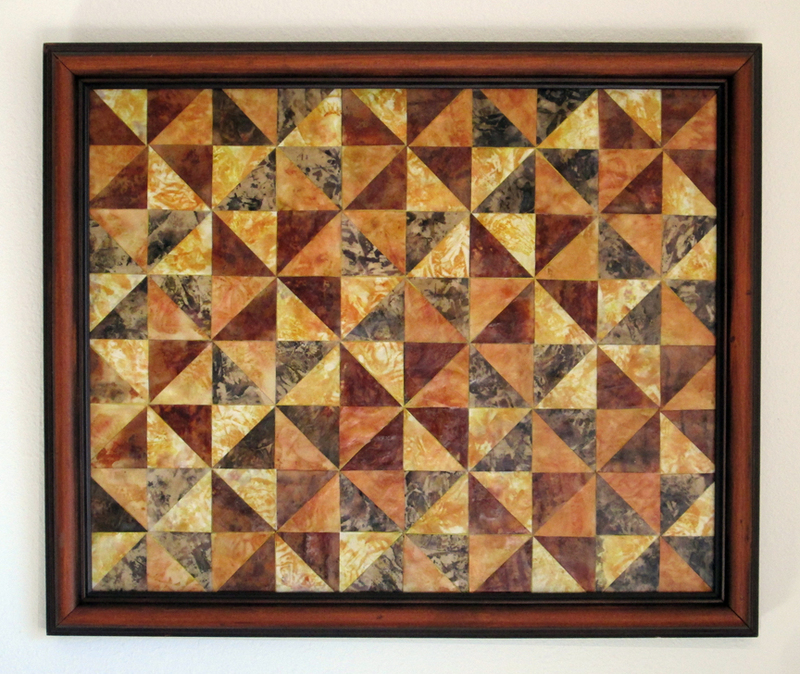 The papers in this piece were dyed using onion skins (light yellow and dark green) and rust (dark red.) Layering onion skins and paper sheets in a pot, weighting them, and then steaming them for an hour or so makes the most wonderful patterns on the paper! Field of Dreams is one of the names for this quilt pattern.